The VA will continue its planned tests of a homegrown patient scheduling system, but will hedge its bets by resuming testing of the Epic-developed, $624 million Medical Appointment Scheduling System (MASS) that had been put on hold in April 2016 pending a decision on which system to use. The VA neatly sidestepped Congressional demands for firings, reorganization, and funding decreases by simply throwing its scheduling system under the bus and signing up for Epic. 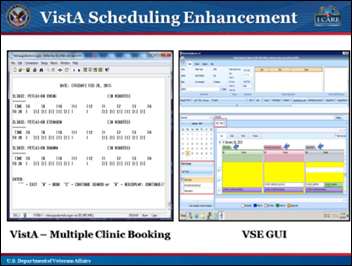 I don’t know what it will take to compartmentalize Cadence to run without any other Epic apps and then integrate it with the VA’s systems, but I do know that standalone healthcare scheduling systems have fallen by the wayside given the need for integration. It also seems that $624 million is a lot to spend for automating a single function, but then again both the VA and DoD are used to squandering mountains of taxpayer money on systems that are often failures in every way except as never-ending revenue streams for the chosen contractor. A 2010 GAO report found that the VA had spent $127 million in trying to develop an outpatient scheduling system but hadn’t implemented anything, with the unnamed contractor that developed the defective system walking away with $65 million. From Tyga Choonz: “Re: Epic 2016 release. Being renamed to Epic 2017 after it was released in late November and no customers upgraded to it. The name change is to help ensure that ‘customers don’t feel behind.’” Unverified, but reported by several readers. Confiscate the phones of people assigned to booth duty. Make it clear that booth reps shouldn’t be talking to each other unless they are with a booth visitor. CareSync is the leading provider of software and services for chronic disease management, combining technology, data, and 24/7 nursing services to facilitate care coordination among patients, family and caregivers, and all healthcare providers. Founded in 2011, CareSync exceeds Medicare’s requirements for Chronic Care Management (CPT code 99490, 99487, 99489), and also offers care coordination services and technology for Annual Wellness Visits, Transitional Care Management, and CPC+. Additionally, CareSync clients are well positioned for positive payment adjustments with support for measures in all of the performance categories under the Merit-based Incentive Payment System (MIPS), and the CareSync consulting team helps healthcare organizations of all sizes prepare for the shift from fee-for-service to value-based healthcare. CareSync nurses serve as an advocate for the patient to turn doctor’s instructions into action, remove the barriers to care plan adherence, and ensure that information is shared with the right people at the right time. For more information about CareSync, visit www.caresync.com/ccm. Here’s an interesting fact about upcoming HIMSS conferences. 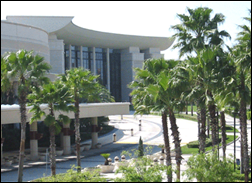 After HIMSS18 in Las Vegas, it’s then two straight years in Orlando for 2019/2020 since HIMSS pulled the 2019 conference from Chicago in a “two strikes and you’re out” hotel room pricing spat, with Chicago’s loss being Orlando’s gain. The Orlando dates are a bit screwy – February 11-15 in 2019 and March 9-13 in 2020, a full month’s difference. 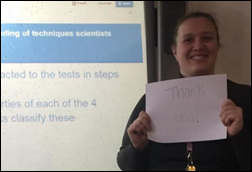 We funded the DonorsChoose grant request of Ms. K in New York, who asked for SmartBoard replacement bulbs for her seventh grade special education and English language class since her school can no longer afford technology resources. 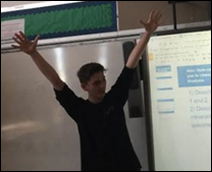 She says the newly reactivated projectors have “awakened her students,” adding that they marveled that her project was chosen among all the others on DonorsChoose. 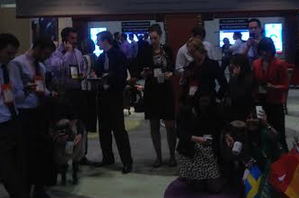 I have seats left for my CMIO lunch at the HIMSS conference next Tuesday at noon. It’s a no-agenda social get-together (provider CMIOs only). I’m buying a great buffet at a private table and it’s right off the exhibit hall, guaranteeing a return to the hubbub both physically and mentally nourished. Everybody seemed to enjoy it last time. Apparently the term “CMIO lunch” is confusing since vendor VPs keep signing up, but I will clarify by not sending them an invitation. Aetna decides not to follow through on its vow to appeal a federal judge’s decision that blocked its $34 billion merger with Humana, instead opting to pay Humana the $1 billion breakup fee and move on. Humana also announces that it will exit the ACA insurance marketplace in 2018, the first insurer to pull out after President Trump’s first steps to repeal Obamacare. In a related story, Cigna terminates its planned $54 billion merger with Anthem and sues Anthem for a $1.85 billion termination fee plus $13 billion in damages. Anthem, meanwhile, says Cigna doesn’t have the right to cancel the deal. 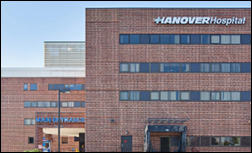 Hanover Hospital (PA) chooses QuadraMed’s enterprise master patient index. 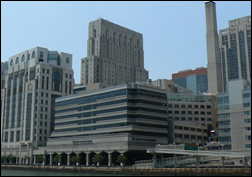 Hospital for Special Surgery (NY) will implement PerfectServe’s Synchrony care team collaboration platform. 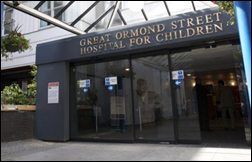 In England, Great Ormond Street NHS Foundation Trust chooses Epic, the fourth UK trust to do so. 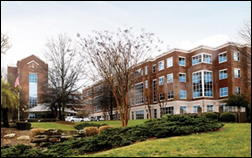 Novant Health selects Voalte Platform for care team collaboration in its 14 hospitals. 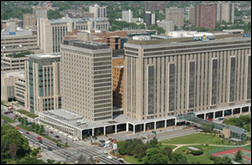 BJC Healthcare will deploy Oneview Healthcare’s interactive patient care solution at its Barnes-Jewish Hospital Tower and St. Louis Children’s Hospital, committing to 2,000 devices. Chadron Community Hospital (NE) names CIO/COO Anna Turman as interim CEO, where she will transition to permanent CEO in six months. Jennifer Haas (Aventura) joins TriNetX as marketing VP. Skilled nursing facility operator National HealthCare Corporation hires Andy Flatt (Corizon Health) as SVP/CIO. Healthwise Chief Science Officer Michael Barry, MD is appointed to the US Preventive Services Task Force. 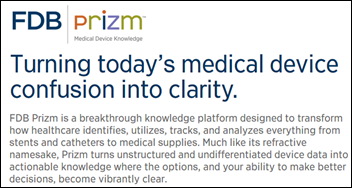 First Databank launches its Prizm medical device knowledge platform that helps providers make supply chain and clinical decisions. The Senate confirms David Shulkin, MD as Veterans Affairs secretary in a rare 100-0 vote and as the first non-veteran to run the agency. Among other accomplishments, he founded DoctorQuality, a safety reporting vendor that was acquired by Quantros in 2004. Politico reports that Congress originally considered shutting down ONC as part of 21st Century Cures to reduce EHR frustration, but ended up giving the office even more responsibility, although potentially with more focus on coordinating rather than administering. The US Supreme Court pushes back its review of whether employee class action lawsuits are valid if the employees are covered by arbitration clauses — which includes Epic as one of three cases to be argued — until the fall term that begins in October 2017, presumably when all nine judges will be in place. This is an area in which we have been behind but we are hoping to leapfrog the rest of the world due to a very remarkable thing that our GPs did about 10 years ago. They decided to ignore the Government’s plans for a national IT program in the NHS and exercise their right to go their own way. The government program collapsed, but they set up fantastic electronic health records, some of the best primary health records anywhere in the world … they have digitized people’s lifetime records … What we do not do at the moment, but it is starting to happen, is allow those records to flow around the NHS … If you are trying to set up electronic health records in America, you simply do not have that asset to use, because they have very good electronic hospital records, but those are episodic records, not people’s lifetime records … next year we will go a step further and introduce what we are calling the Blue Button scheme. The Protenus Breach Barometer lists 31 reported incidents for January, with 58 percent of them attributable to insiders. 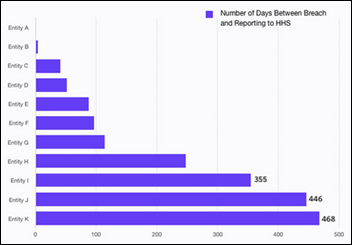 HHS wasn’t notified until an average of 174 days after the breach, exposing those organizations to heavy fines for missing the 60-day reporting window. 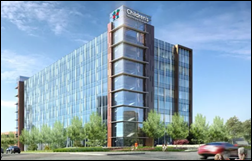 Children’s Healthcare of Atlanta will spend more than $1 billion to build a new pediatric hospital at North Druid Hills Road and I-85. 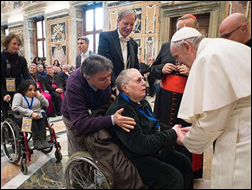 Pope Francis says in an address that when healthcare delivery models emphasize money, “there can be a temptation to lose the protections to the right to healthcare” for the poor and elderly. He adds that communities should reach out to those who live alone and not just the tiny fraction of people who are hospital inpatients. Researchers find that the number of Americans over age 65 who are prescribed at least three psychiatric drugs has tripled in the past 10 years, with nearly half of those patients having no recorded diagnosis of mood, chronic pain, or sleep problems. The paper observes that the jump was highest in rural areas, leading them to speculate that the lack of availability of talk therapy, massage, or relaxation techniques may cause excessive reliance on drugs (they didn’t note that much of rural America is zonked out on narcotics, which might cause an increased demand for other drugs). A fascinating Wall Street Journal story describes Evan Morris, a drug company lobbyist who oversaw a $50 million budget in running a “black ops” program to influence lawmakers. He wined and dined elected officials in convincing the Bush administration to stockpile $1 billion worth of Roche’s Tamiflu to prepare for an bird flu/H5N1 outbreak that never happened. 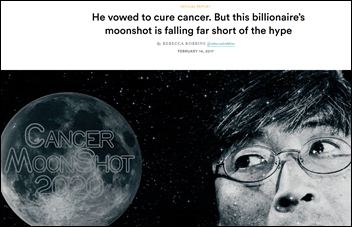 He then launched a grassroots campaign to promote the use of Avastatin — a $90,000-per-patient breast cancer drug whose use the FDA wanted to ban given low effectiveness and significant side effects – planting articles on conservative websites describing women who said it gave them their only chance, with the resulting consumer and political pressure buying the company another year of sales and another $1 billion in revenue before the FDA finally cracked down. He raised money for Hillary Clinton’s presidential campaign in hoping to land an ambassadorship. 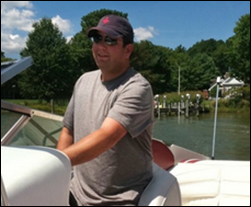 Upon hearing that his drug company employer was investigating his unusual expenses in suspecting embezzlement, he played a round of golf, ate a steak dinner while buying the whole restaurant a round of drinks, then took a $2,000 bottle of wine into the woods and killed himself. Besler Consulting’s The Hospital Finance Podcast wins a Gold AVA Digital Award. CareSync adds services to support CPC+ practices. Consulting Magazine recognizes The HCI Group as the eleventh fastest-growing consulting form of 2016. HealthCast will exhibit at the 2017 MUSE Executive Institute. Does “Elizabeth Holmes” translate to “Soon-Shiong” in Chinese? Epic routinely considers what year to label a version when it comes out AT THE END OF NOVEMBER in a calendar year such as Epic 2016 did when release last week of November in 2016. Since the name is intended to signal users how old the version they are using is, naming a release that came out with only a month to go in 2016 as the 2017 formal release makes perfect sense and most accurately reflects the vintage of the release. To imply cause and effect (because no one installed it) is just fake news. No one does upgrades for their enterprise in the first 30 days after a release is made available. This individual change to the name of Epic’s latest version isn’t too big of an adjustment. We’ll accidentally call it 2016 for a bit, and then start calling it by 2017. I would say, though, that it’s one of a number of changes over the years to the names of many of Epic’s products and programs that collectively have confused our vocabulary. I do wish they’d recognize that it gets harder to keep people on the same page about a lot of things when the terminology keeps changing. I also liked a number of the old names better. Seriously, Caboodle? On a less light-hearted note, as one of the clients that was asked to delay our upgrade to the last version, Epic 2015, until well into 2016, this is one more data point that makes me wonder whether Epic is focusing on the right things with regard to their releases.That whole SNAFU had some real costs to us in terms of projects we had to delay contingent to our Epic upgrade. On a fundamental level I’m surprised if Judy thinks I care so much about what they call it. You can read “Paperless by 2022” for the UK NHS as more like “some ‘exemplar’ hospitals will be paperless by 2022…or maybe 2025”, while the majority continue to spend more time worrying about not having enough beds or the impending physician resource crisis from physicians and staff from Europe no longer being able to work in the UK (Brexit fun!). So there’s a chance maybe 20-30 hospital networks will be paperless by 2022 – around 20% of the major hospital provider networks, but its a far cry from a “paperless NHS”. Epic should have just named it 2017 to begin with. Car companies do it all the time with their ‘model year’. And it’s not like anyone in healthcare organizations are willing to make *ANY* changes in December. Nevermind the $1B breakup fee. More importantly who gets the dog?! I wonder if Soon-Shiang will be traveling the HIMSS Conference this year with the same large entourage he did last year. He had at least 8 people around him last year including 2 obvious private security folks when he passed me on the Exhibition floor. You can confirm this report. It’s news on Epic’s Userweb, and a number of our TS representatives have told us the news. Mine didn’t exactly conceal her own surprise at the news. I was told that the announcement came without any of their code or documentation being updated. 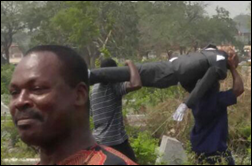 That all still has to be done. My organization hasn’t entered our next upgrade phase, but when I heard about this I could only imagine how frustrated I’d be if we were and I had to update training manuals and other communications. My Epic representative told me to check out some of the comments on the Userweb, and I could see that others were upgrading already feel what I would have expected. It raises some serious questions for me about how well things are running at Epic these days. This sounds like it was executed about as well as the travel ban. Speaking of Epic’s UserWeb- customer’s posts to the official announcement thread is 99.99% hostile – some are angry, some have wtf astonishment, some have resorted to sarcasm and humor. The underlying tone seems to be – “what’s really going on out there in Verona if this is the sort of thing these guys are spending their energy on.” If you have access to the UserWeb, check it out. Talking to our TS rep, seems like the foot soldiers are equally worried about the disconnect between the leadership and ground reality! IMO, the name change (this one and before this Caboodle) by itself is not a big deal but if you look at this kind of stuff along with some very tangible concerns – shabby quality of 2015 release, lack of progress on delivering a true web based product, lack of progress on a number of other initiatives such as App Store, reporting/analytics etc. and using regulatory requirements as an excuse for those missteps, then, as a customer one does start to have a lot of concerns. But there isn’t much one can do – Epic still remains an above average product in a field full of mediocrity. Plus, the switching costs are way too high for enterprises. So regardless of these missteps, in the short-term, Epic will continue to be the market leader and I think in the long term, they do have the talent to right this listing ship.